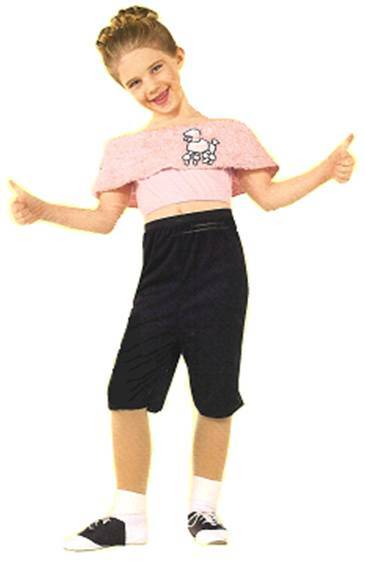 A nice circa 50s costume that includes a shirt and pants. 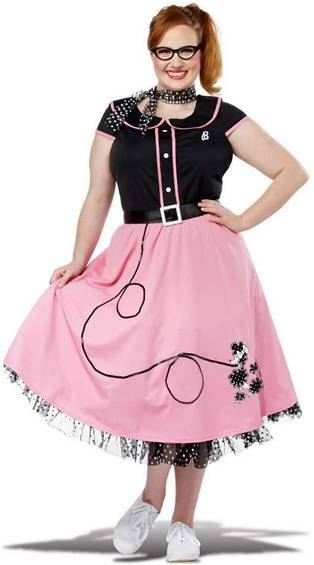 Includes dress, shrug, belt, hair bow and glasses. 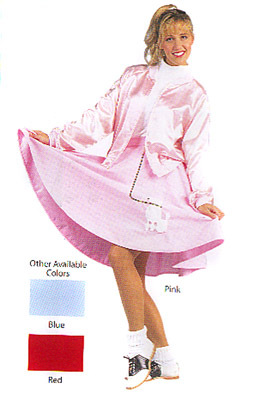 Includes dress, belt with bow and scarf. 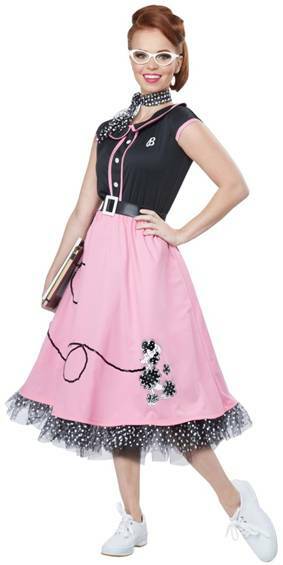 Includes dress, petticoat, belt, scarf and iron-on monogram letters. 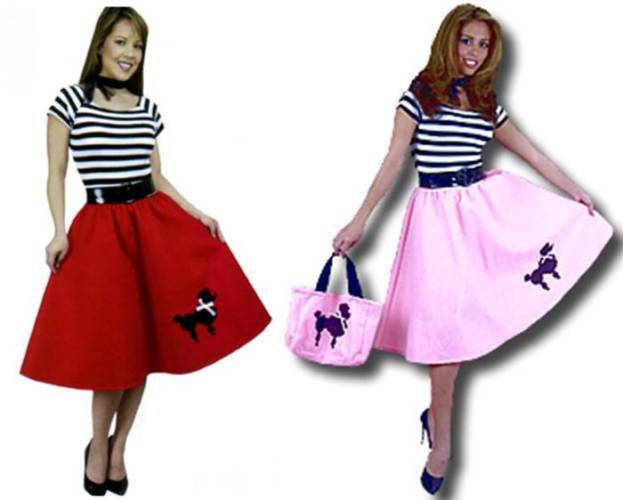 POPULAR 50'S LICENSED GREASE CHEERLEADER COSTUME INCLUDES TOP WITH "R" LOGO AND RED SKIRT. Includes dress with belt and scarf. Available in Red or Pink. 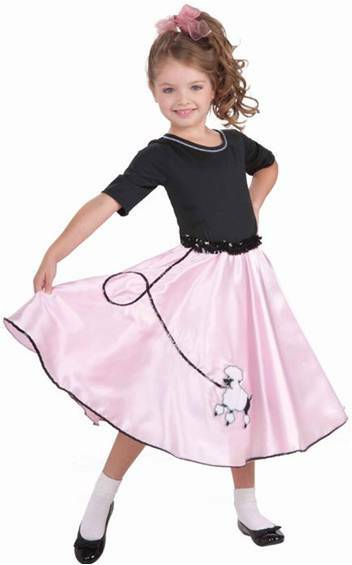 Wear a great 50s style costume with this poodle dress. Dress comes in either Pink or Red. Includes dress, scarf and belt. 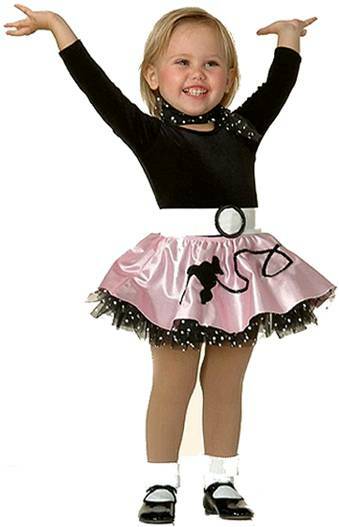 PINK SKIRT WITH SEQUINED TRIM AND POODLE APPLIQUE. PLUS SIZE FITS CLOTHING SIZE 16-22. 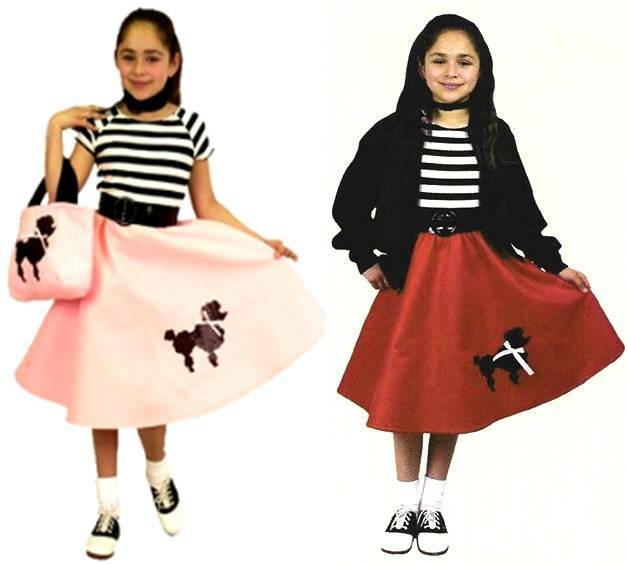 Circa 1950s Poodle Skirt costume that includes skirt, blouse and belt.